The 2016 presidential election campaigns have given the American people much to ponder regarding the best candidate to lead our nation. Though campaigns can be quite tiresome, they are useful because of the political information they provide. In order for voters to make informed and thoughtful decisions in selecting their next leader, the information campaigns provide is quite useful, and to a certain extent, easily accessible. 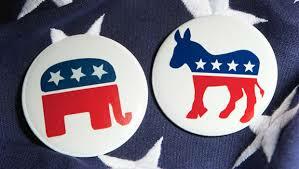 The dozen or so debates in which candidates from both the Democratic and Republican parties have participated give Americans a chance to get to know the candidates, their prospective agendas, preferred domestic and international policies and a host of other insights. However, what I have noticed throughout this campaign season is both political parties’ respective proclivities toward governance. The candidates from each major party have contributed in providing the American people a stark choice in the 2016 presidential election. Each party has presented the country with a different governing philosophy, either of which will have large consequences moving forward. Below, I outline both governing philosophies as I see them. Beginning with the Republican side, though candidates from the Grand Ole Party (GOP) may seem fractured and disconnected, their governing philosophies share many important similarities. For one, each GOP candidate professes to adhere to the strictures of former president Ronald Reagan’s notion of smaller government (i.e., Reaganomics). At its most basic level, this means that, as much as possible, the government should stay out of people’s affairs. Though not a particular citizen’s No. 1 enemy, the GOP candidates are united in their belief that the government has gotten too big and usually causes more harm than good once it gets involved. As one follows the campaigns, one becomes cognizant that this philosophy on government fuels the momentum of the GOP frontrunner and social movements such as the Tea Party. Doing away with federal agencies such as the Internal Revenue Service (IRS), federal health care services and other such programs are common themes within the Republican Party. The present controversy regarding the next Supreme Court nominee is, to some extent, grounded in the notion of limited government, as well. Supreme Court justices serve life terms and pronounce judgments affecting the entire nation. GOP candidates understand the implications that a judge whom does not share their overall governing philosophy may have on society moving forward. The late Justice Antonin Scalia was viewed as a conservative jurist on the high bench. Republican candidates fear the loss of his influence, along with the bench’s philosophical balance, may now tilt arguments in favor of the liberal wing. Candidates on the Democratic side also share a certain overarching governing philosophy. Following the campaigns of the two DNC (Democratic National Convention) candidates offers different perspectives on governance but the common thread seems tied under the notion of positive government. As opposed to viewing government as the source of American angst, the DNC candidates advance the proposition that government can be used to help America live up to its values and beliefs, if utilized in a fairer, more democratic and effective manner. The private sector plays a large role in advancing American social and economic prosperity, but only if the private sector plays within the rules. If the private sector steps outside of these bounds, then only a few individuals or firms will stand to benefit at the expense of all the other players. DNC candidates view one of government’s roles as ensuring the playing field is level for people to engage effectively while maintaining the integrity of the system so that it does not become corrupted or unduly influenced by powerful participants. Thus, they view government programs such as Common Core State Standards Initiative, the Patient Protection and Affordable Care Act and the Dodd-Frank Wall Street Reform and Consumer Protection Action Act as mechanisms to address broken systems and allow government to become beneficial to more than just a few. The role of government, from a Democrat’s perspective, is not to shrink from away from society but to advance the general weal of the community. The 2016 presidential elections have provided America with a clear choice regarding the nature of the country’s philosophy on governance moving forward: limited and smaller government versus positive government. For those within the realm of public administration, the stakes could not be higher. Should public organizations do more with less or have adequate funding? Will wasteful government programs be given more life preservers or be cut off? What type of governing philosophy will the new batch of agency heads have and how will it affect their organizations? The debates, the stump speeches on the campaign trails and the high-profile endorsements all lead up to these important questions. The implications – very grand indeed. Good luck and happy vetting as we inch closer to decision day. Author: A. Hannibal Leach, MPA, was previously employed as a congressional aide for former Congressman Bart Gordon. He is the president of the Center for Strategic Affairs and Public Diplomacy, a think tank that provides management consulting services. His scholarly research focuses on American politics, political institutions, as well as Congress and its relationship to U.S. foreign policy. Email: [email protected].